AN AMAZING PAINT AND PIXELS GIVEAWAY! Hello Friends! 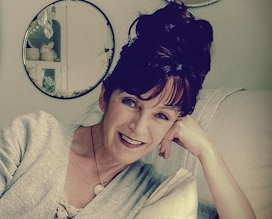 I'm Robin Laws and I am delighted to be a guest host on Ivy's blog today. I"m the co-teacher for the upcoming Paint and Pixels class. To celebrate this exciting class we are offering you have a chance to win this fantastic giveaway valued at over $150! 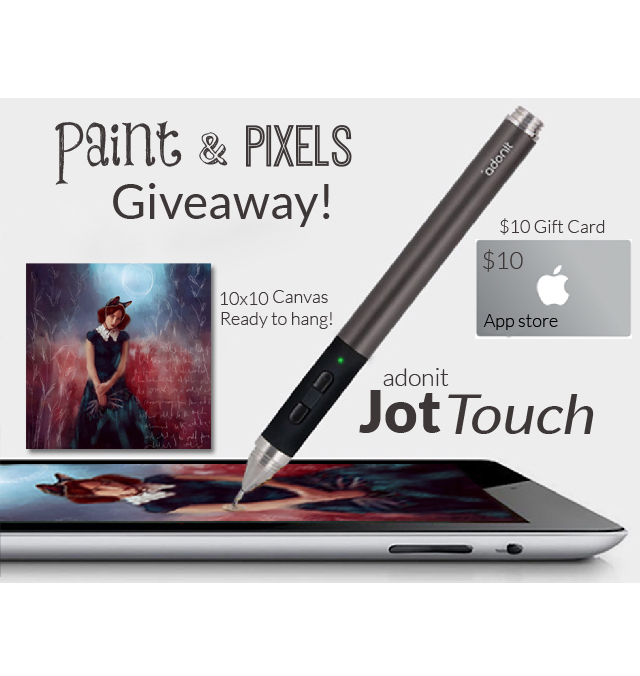 What we are giving away: one Adonit JotTouch4 stylus, a 10x10 ready to hang canvas of one of my most popular digital paintings and a $10 App store gift card! To enter all you have to do is leave a comment on THIS post letting us know what interests you hope to learn in this course and post and add it to at least one of your social media sites listed below. **Each time you share it come back and tell us so you have another chance at the giveaway! The winner will be on the last day of our sale next Monday, June 9th. We'd like to introduce the incredible artist Sarah Jarrett. Sarah creates the most intriguing and beautiful art on her iPad.